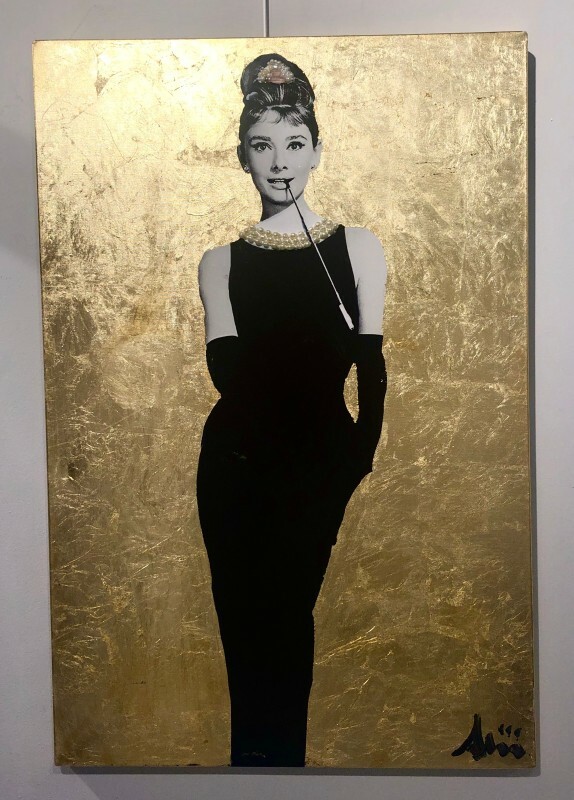 Modern & Fine art - Since 1972. 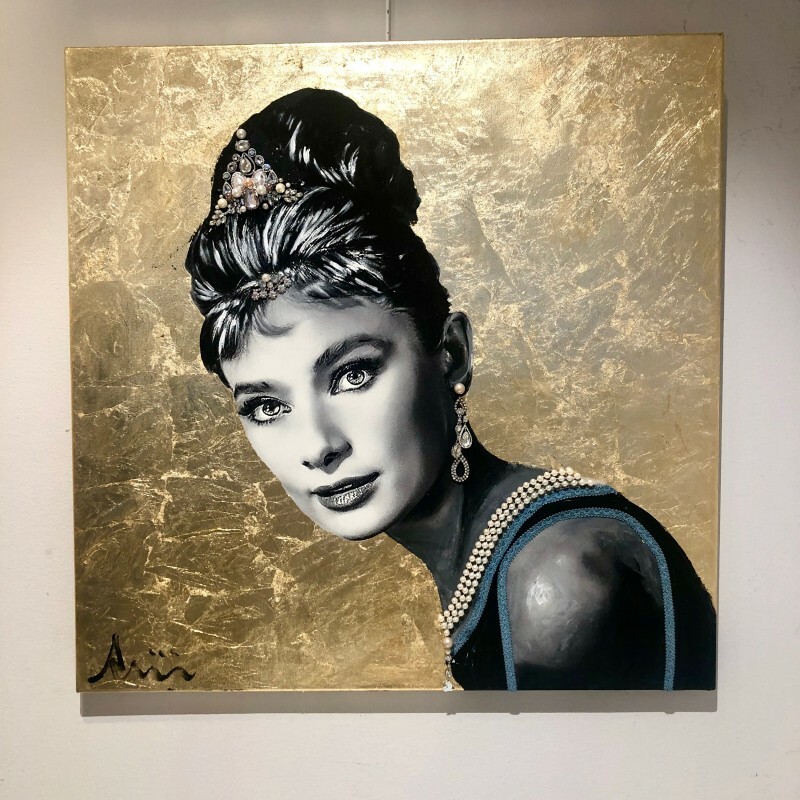 Albinini is a Swedish artist who uses a vide range of different techniques in his creations. 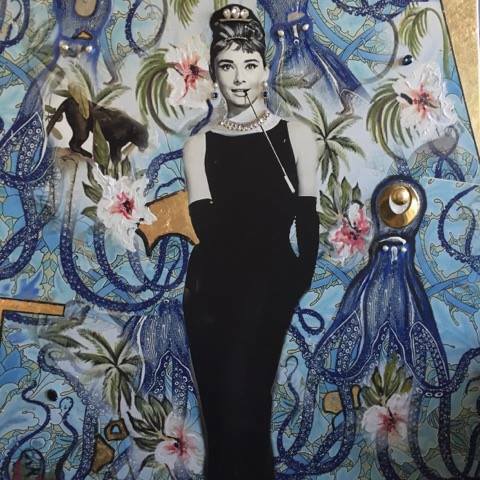 Amongst other he uses digital prints, acrylics, leaf-gold, leaf-silver and real jewelry to create his celebratory artworks. 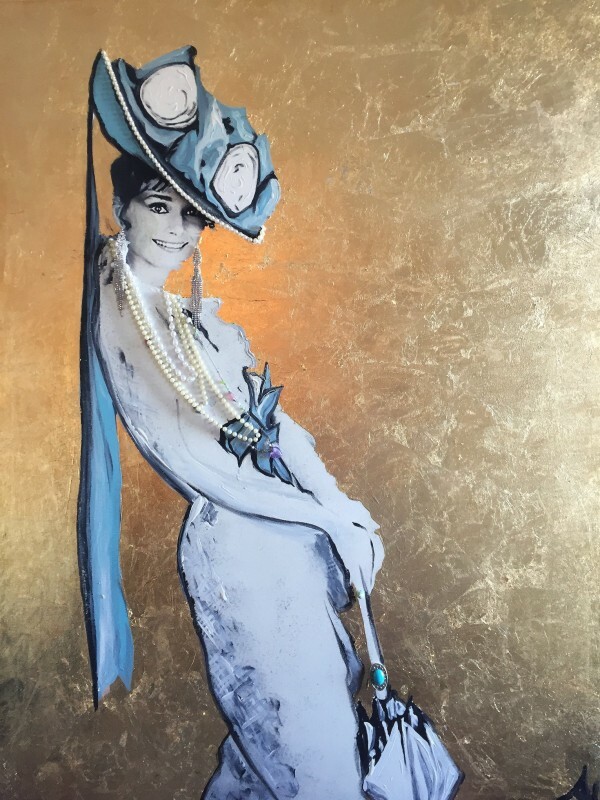 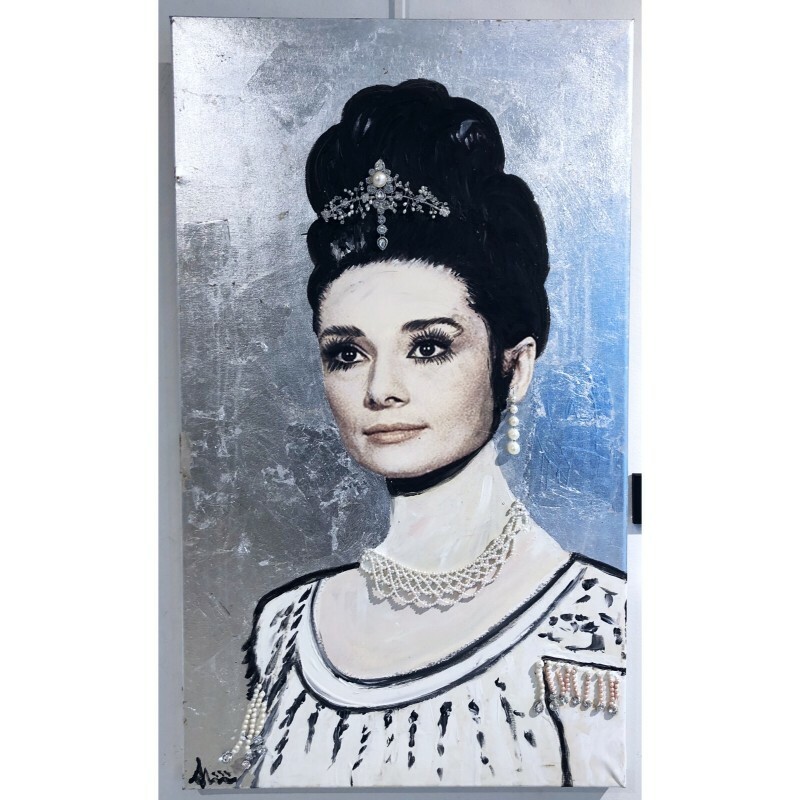 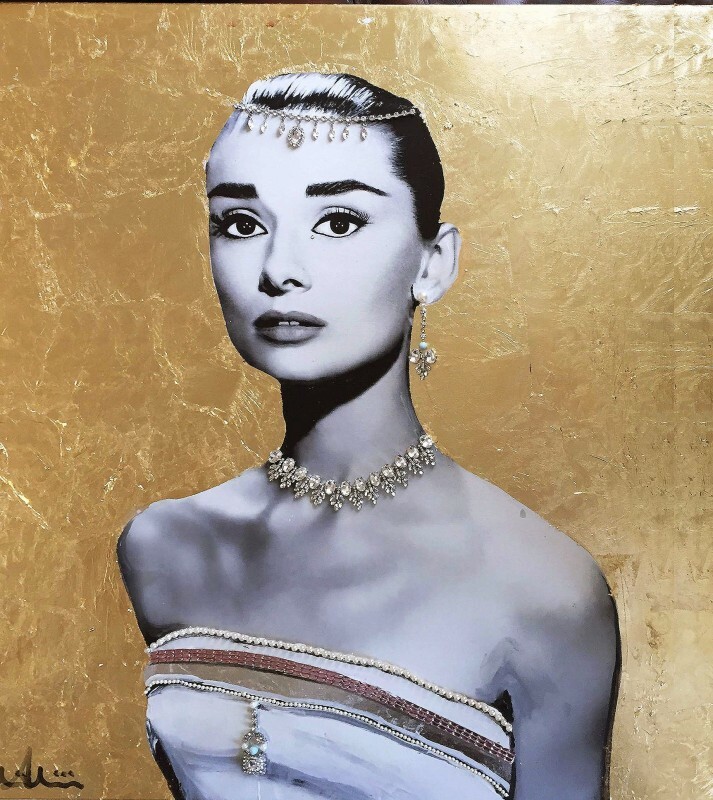 "Audrey Hepburn in Silver" Mixed media on canvas by Albin Albinini. 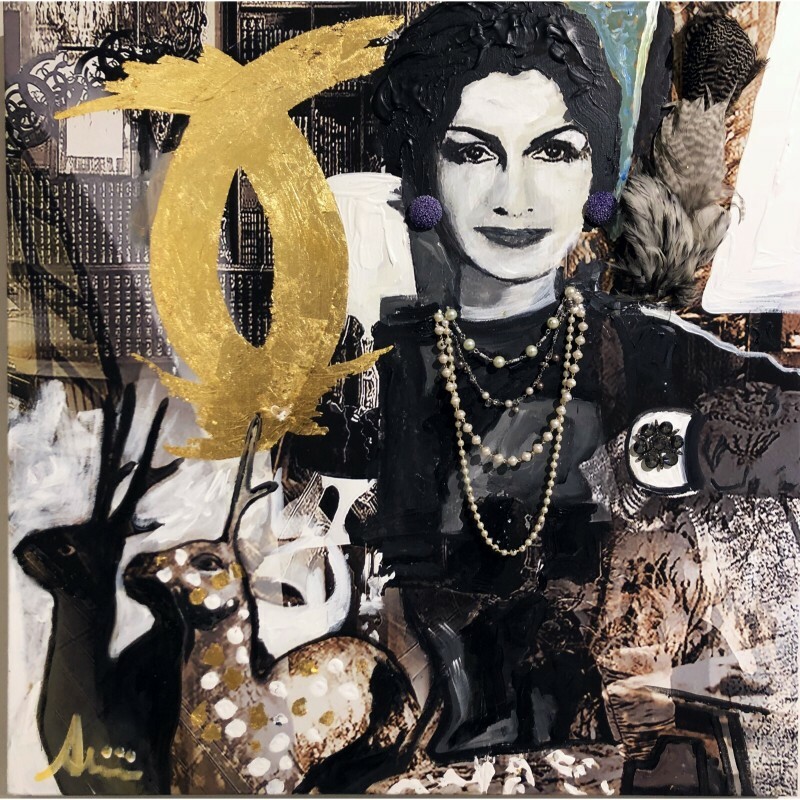 70x117cm, "Icons"
"Coco Chanel in her Paris Home" Mixed media on canvas by Albin Albinini. 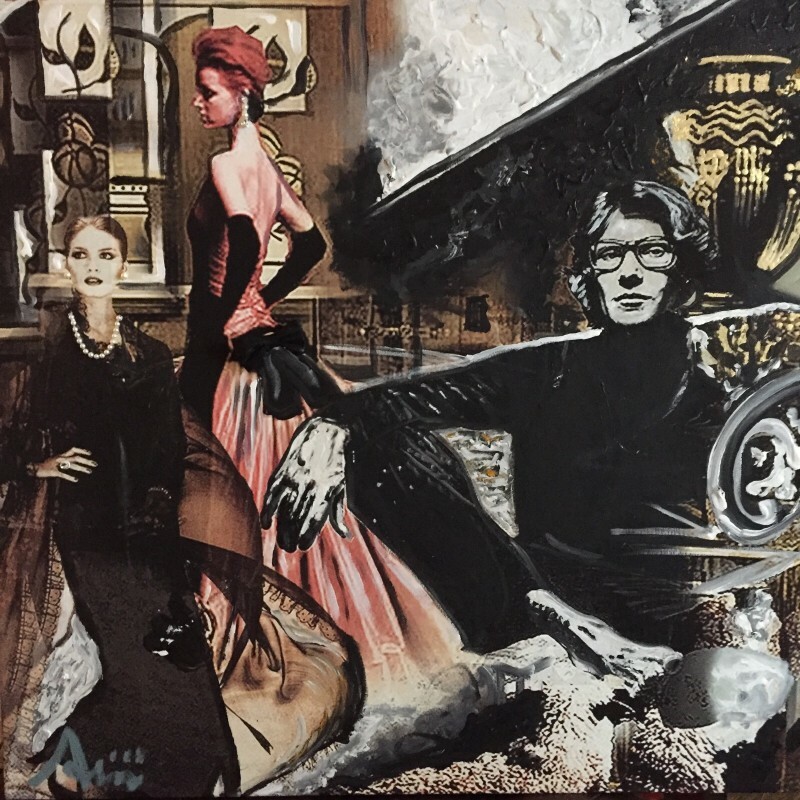 80x80cm "Icons"
"Yves Saint Laurent in his Paris home" Mixed media on canvas by Albin Albinini 80x80cm, "Icons"